Most of our blog entries are meant to be shareable and valuable tidbits of wisdom for marketing professionals about corporate video production, but with the holiday season and the new year looming, I decided I would take a bit of time to write about our journey as a leading national video production company. I think our business story also has valuable bits of wisdom for small business owners in general and can help guide the thinking of other entrepreneurs just starting their businesses. Like many young filmmakers pursuing writing and directing, I knew the challenges that would face me not only to succeed in my chosen profession but to make a living while trying to attain lofty goals like feature film direction. As the son of a successful businessman, I had the necessary “push” from my dad about making a living in film, which he suggested would be possible by creating needed marketing videos for businesses. In 2008, quality video production was still an expensive undertaking with very few affordable HD options, but worse yet, most companies had only recently wrapped their minds around the importance of great, quality Websites. I had a business background in running an entertainment network of Websites (movie reviews, celebrity sites, and joke sites) that at its peak garnered more than 250,000 unique visitors per month and generated more than $5,000 per month in revenue, so I was familiar with the Web world intimately. Most companies saw video marketing as a cool new option, but not necessary. At best, video marketing was worth a try, but at worst, budgets were too tight for many companies to consider it viable at all. Before starting JLB Media Productions, I produced more than a dozen senior living tour videos for BPM Senior Living in 7 states. Web video was in its infancy and with JLB Media Productions, we soon became leaders in the senior living industry for video production. When I founded the company in Los Angeles in 2008, I had no idea where the journey would take me, but I knew I needed a tireless work ethic and the drive to succeed above the competition. After all, thousands of production companies are started across the country every year, usually single owner-operator enterprises, and many don’t last. In 2009, after striking out with my own marketing efforts, I realized while film production is my love and passion, marketing is not my strength. I brought aboard Ivy Johnson as our Head of Sales & Marketing and she began the difficult journey of finding our first clients. Our business plan at the time was to charge $5,000 per video at minimum and up to $10,000, which would allow me to direct and be closely involved in each project. Our clients led us a different direction, though, and we quickly realized that for many companies, especially ones with frequent video needs, they want to have cheaper options for simpler videos. They don’t all need a crew of 4-6 people or more, a creative director calling every shot, and every bell and whistle. We adjusted our pricing model and started offering less expensive options, which led to our first clients. When I started JLB Media Productions, because I assumed I would be directing or present on every shoot, we marketed only to the Los Angeles area and tried to focus on local companies for corporate video work, commercials, or training videos. Before long, though, our clients started asking about our ability to produce videos in far away states, which we hadn’t even considered an option. Not wanting to turn away work, we said we would find a way. Before long, we started building a network of videographers city by city, state by state, until by the end of 2016 we had produced videos in 40 states plus the District of Columbia, 93 of the top 100 U.S. metro areas, and even Canada. The pricing and geography of our business gave me a few valuable business insights, which boils down to letting your clients and customers guide your business, rather than trying to dictate your business goals onto them. Stubbornness in business has its place, but not with serving customers and clients. My dad once told me, “Never say no to a customer, always say yes, but at a cost.” We found that by offering the same costs in any market nationwide, we would be able to offer uniform quality and build relationships with production staff everywhere that would serve as the basis of a larger, more successful business. Our philosophy of operating is entirely based around great customer service, finding solutions that make sense for our clients’ budgets, and providing national coverage that saves them time, money, and hassle. Media Productions grew, we stopped freelancing our editing work and brought aboard our own staff editor, Jeremy Brunson, who has since moved on to other work but continues to be an advisor and occasional guest editor and shooter for our company. Our current lead editor, Antonio, is one of the most creative, passionate editors I have met and improves every project that he touches. From the start, my philosophy of filmmaking has been to hire people who excel at what they do and give them the tools and guidance necessary to perform at the highest level. I don’t believe the best work arises from one person doing every task decently; I believe the best work comes from dedicated professionals in each area of creation who give their expertise in service of a great finished project. In late 2016, we created a high end corporate video for Mr. Formal based on a creative concept by writer-director Jonathan L. Bowen. The shoot involved a mansion, an Aston Martin, a sharp suit, a James Bond themed story, and our best creative talents on the cast and crew. One of the greatest joys for me as company owner is thinking about all of the people who have seen our work, hearing how it has helped companies with their marketing goals, and having the chance to build a company from nothing into a fully capable nationwide company. When we started, potential customers would ask for portfolio samples and all we had to show was a couple of senior living videos and maybe a music video or two that wasn’t related to their type of work at all. Today, we have produced almost every type of work imaginable. We have filmed senior living tours, apartment tours, business profile videos across numerous industry types, training videos, animated explainers, event videos at places like CES and the Intuit Women’s Conference, Kickstarter videos, interviews with influential people like John Paul DeJoria of Paul Mitchell, and product & service demos for varied companies. When a potential client approaches us now, I feel confident we can meet their needs no matter what type of video they want to create. 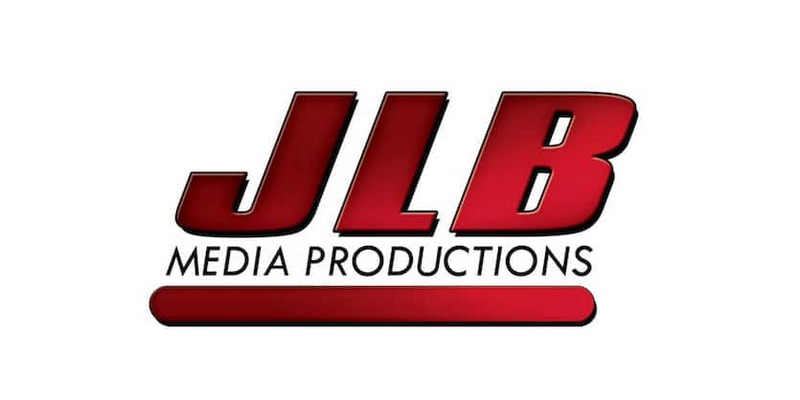 What does the future hold for JLB Media Productions? For me, I am hoping we can win the trust of more household name companies, that we can continue to produce great work for businesses of all sizes, and that we can break into higher budget, more creative work. Many of our existing clients may see us as a good affordable option for solid videos, but they don’t know that our capabilities as a production company are limited only by budget. Creative planning, coming up with great ideas, and executing higher budget, custom productions is my passion and desire for growth for the future. Amy Alyson Fans (2011), was writer-director Jonathan L. Bowen’s first feature film that won Best Comedy at three film festivals and received distribution from FilmBuff to digital media platforms including iTunes, Amazon, Hulu, CinemaNow, XBox, and Google. As a member of the Director’s Guild of America, I have directed a feature film, Amy Alyson Fans, that I also wrote and that won numerous awards from film festivals. In all, my work has played more than 40 film festivals nationwide, receiving 25 awards nominations and 8 wins. With Amy Alyson Fans, we had product placement agreements with companies like Microsoft, Apple, Volvo, Anheuser-Busch, Corona, Arrowhead Water, Food Should Taste Good, Dell, Chandon champagne, and dozens of other household names. No budget or project is too large for us to handle, especially with the connections we have as a company to execute high level work. Our early 2017 goals are to showcase some high budget, high quality, creative commercial work to demonstrate that whether you’re looking for an inexpensive corporate video or a high budget, front-of-the-site branding video, we are your #1 choice.